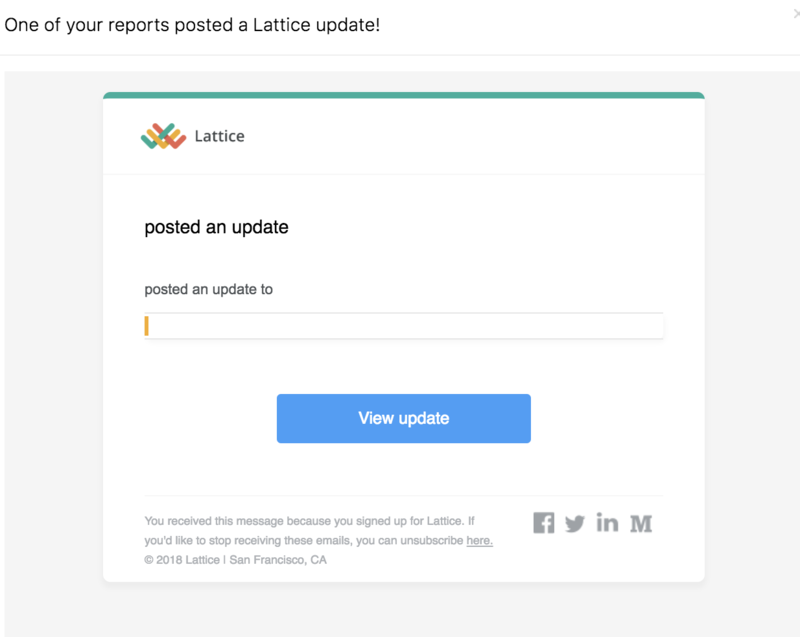 Note - this is based on the reminder cadence set by admins. 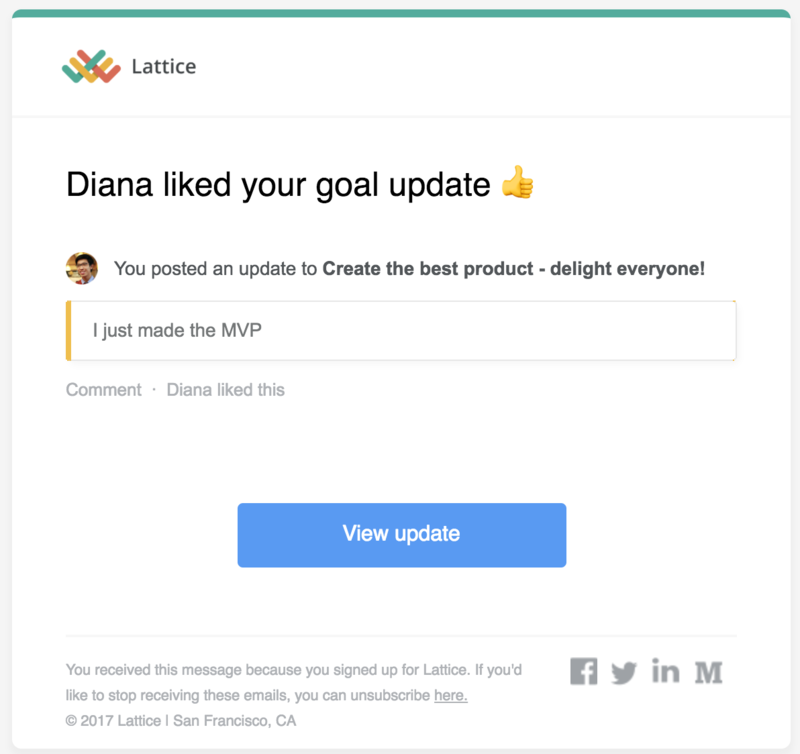 Their direct report updates one of their goals. 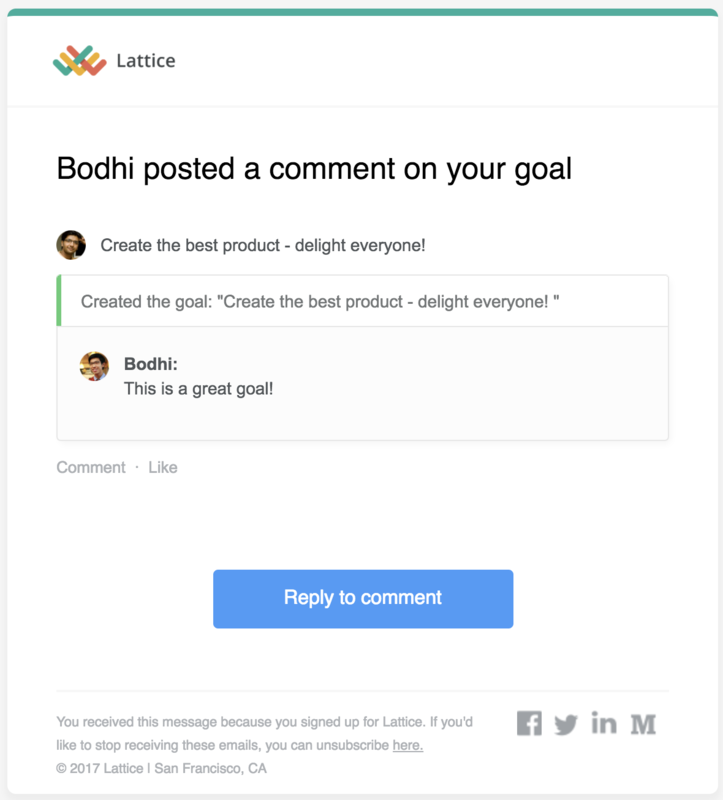 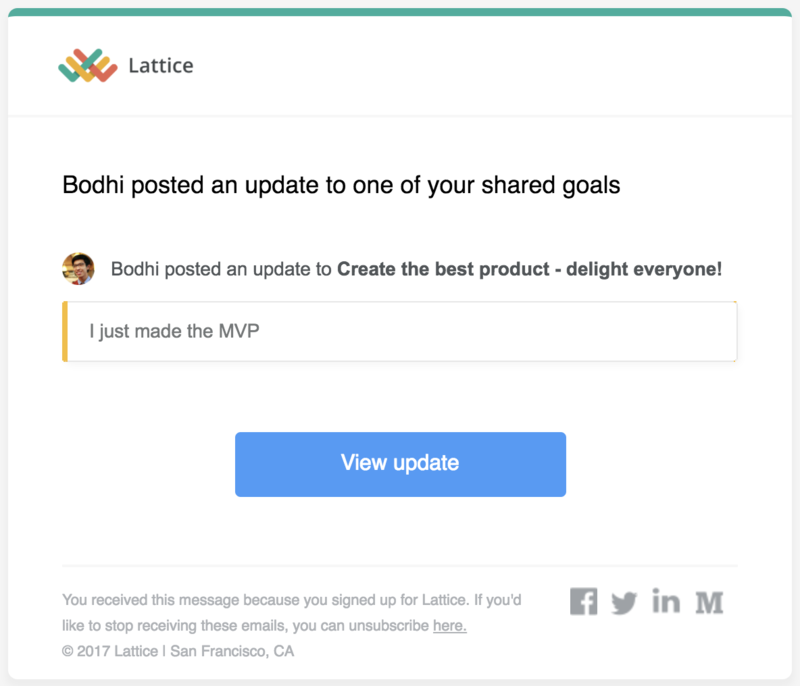 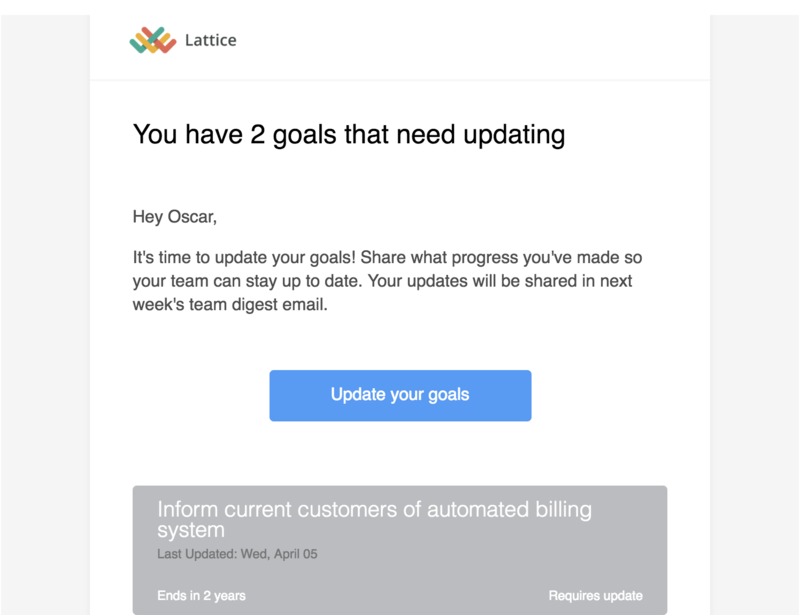 Goal Digest Email: A list of goal updates or newly created goals for a managers team. 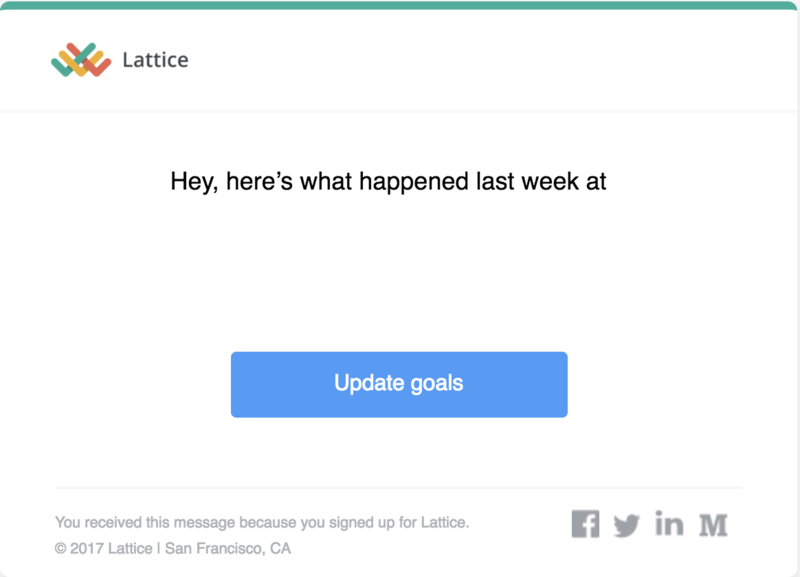 This is all seen in the Goals Digest email that goes out at a cadence that you choose.